Preparations are now in full swing for UK Independence Day celebrations on Brexit date which is definitely without a doubt going to be the 31st March. It promises to be one heck of a party! So, for a NewsBiscuit guide to the festivities, we caught up with the one of the organisers at the site of the biggest UK Independence Day celebration outside of the Kremlin. NewsBiscuit:	Can you first of all guide us through the stalls you’re having here? This one’s colourful. Organiser:	Yes, here they’re just setting up for the cutting your nose off to spite your face painting, which is part of a flight of fancy-dress competition. We’ve obviously got a coconut shy of a full load, there’ll of course be a white elephant in the room, and next to it was going to be the have your cake and eat it too sale, but that’s been cancelled unfortunately, and instead, swing your partners, do-si-do, we’ll have Barnier dancing. NewsBiscuit: It looks like they’re setting up for races here. Organiser:	Two, in fact, a race to the bottom, and then later there’s going to be a really, really cross country. Oh, watch your step, they’re setting up the fire here. NewsBiscuit: So, the fair’s going on well into the night then? Organiser:	The children have been making paper-mâché bridges we’ll be burning on a bonfire of environmental and employment regulations, and we’re reviving the old ‘best dressed guy competition so you’ll see kids trundling around with them in their wheelbarrows. NewsBiscuit: Ah, here’s one now. |b]Kid:[/b]	Penny and a half for the guy? Organiser:	Speaking of which, these bouncy castles are also undergoing inflation. NewsBiscuit:	Ah, a herd of ponies? Organiser:	Unfortunately, we’ve only got a bunch of asses; they’re harnessed ready for the hell in a handcart rides, and next to that: the tombola, where they’re raffling off peerages. This stand will sell local produce, we’ll be getting in lots of jams, and all sorts of pickles. And they’re setting up the music stage where there’ll be fiddling while Rome burns, with backing from a shoe-string quartet. NewsBiscuit:	Well there’s lots going on here, but what sort of things are happening around the UK? Organiser:	Many towns are having one-way street parties, river-side towns are throwing “the baby out with the bathwater” festivals, and there are plenty of village fetes worse than death. And Scotland is also celebrating with their own high-and-dry-land games, and eating their delicious Stirling drop scones. NewsBiscuit:	Well, it all promises to be a celebration to remember. Thank you for taking the time to talk to us, and…oh, what’s this lively group practising in their rows? Organiser:	Ah, yes, I forgot to mention there’ll be rationing line dancing, and over there’s May Pole-dancing. NewsBiscuit:	Aaagh, I can’t un-see that; it was bad enough when it was just Abba. n.b. – this is in no way a re-hash of a failed NewsJack submission. It is genuienly heartwarming to know that Uslington is reaching out in such a way, despite itself, to try to connect at a human level with people who are less advantaged and have different life experiences than themselves. Newsbiscuit; And what do we have here, a collection of small envelopes with spidery handwriting in purple ink? Organiser: These are all varieties of dodgy seeds for peoples allotments. Newsbiscuit: What happens if they don't germinate, or produce poisonous fruit? Organiser: Oh, that doesn't matter, now that we have freed ourselves from Draconian regulations about providing high quality, safe, guaranteed germinable, seeds. 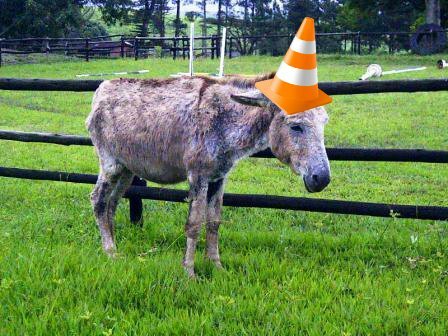 Shirley, the asses have traffic cones tied to their heads so they look like unicorns ? A pedant writes: if we exit as planned it would be at 11pm on the 29th, so wouldn't independence day be the 30th, not the 31st? Whatever gives you that idea ? In order to plan we will of course need more time, put it off until April 1st. a really, really cross country. Islington is probably somewhere near Deal. need more time, put it off until April 1st. Yes! yes! We need more pain! Businesses need a longer freeze on investment! Politics needs more anger and resentment! The real IRA need more time to stockpile weapons and gather funds! The peasants are proving more stoical than expected. And the absence of normal politics is refreshingly disfunctional! It's ALL GOOD!!!!! I doubt if all that will happen in one day - but celebrating UK Independence Day on April 1 will highlight the true nature of the event! Doesn't help me understand your comment. Which people represented by Islington are reaching out? Oh, sorry, got the impression that these events were being organised in Islington. My bad. Something about the accent, perhaps. I think it's quite clear from the accents that this is happening in Essex.